Most people do their best to stay on top of their taxes. However, filing errors or financial difficulties could result in owing back taxes. By contacting the IRS, you can come to an agreement on a payment plan to take care of your liability. You can also consult a professional tax accountant for help and guidance in knowing how to proceed. The easiest way to pay back taxes is through an installment plan with monthly payments. The IRs offers four types of installment plans to choose from. By discussing your situation with the IRS and your tax accountant, you can see which payment plan best meets your needs. If you owe $10,000 or less, this repayment plan may suit your needs. To qualify, you have to have filed all your returns for the last 5 years and never been on an installment plan before. 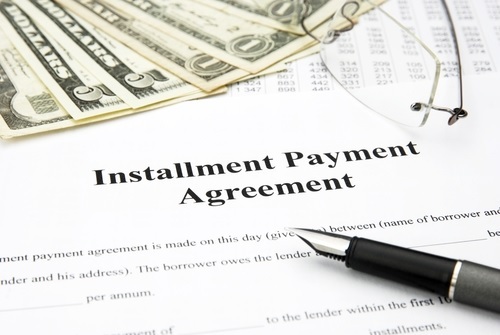 Your debt (to include interest and late penalties) will be divided into 36 monthly payments. In addition, you have to agree to file future returns and pay future taxes on time. This plan is for taxpayers who owe $25,000 or less and meet the same stipulations as the Guaranteed Installment plan. Repayment is made in 60 monthly installments. If you owe $50,000 or less, you can also qualify for this plan, with repayment in 72 monthly installments. Under both the Guaranteed and Streamlined plans, the IRS will not place a lien on your property. In this plan, monthly payments and terms are determined according to your income. You will need to report income and expenses to the IRS to verify your financial standing and the IRS may place a lien on your property to protect its interests. If you owe more than $25,000 and cannot pay within 5 years, you will need to negotiate a non-streamlined plan with the IRS directly. After providing your financial information, the IRS will determine the amount of your monthly payments. The IRS will also place a lien on your property to ensure your debt is paid. In addition to your tax debt balance, you will be liable for interest on your debt and late payment penalties. For this reason, the IRS encourages taxpayers to pay their debt in full, whenever possible. If you don’t have funds to pay, you could look into selling some of your assets or acquiring a bank or home equity loan to clear your debt. Bank interest rates and fees are often lower than those imposed by the IRS. Dealing with tax issues can be difficult on your own. By hiring a professional tax accountant, you can save time, money and frustration in resolving tax problems and restoring your financial standing.